SES strengthens its leadership in satellite video distribution by increasing the number of households it serves by more than 4 million, to over 355 million by the end of 2018. The results of SES’s yearly “Satellite Monitor” survey highlight the expansion of SES coverage and emphasize the importance of the satellite’s role in delivering video content to a wide, direct and indirect, safe and accessible audience. In Europe, satellite transmission, in particular through DTH solutions, remains the main distribution technology, with SES serving 167 million households across the continent. The satellite continues to be an attractive, cost-effective video distribution platform, making it ideal for broadcasting HD and UHD programs. SES is the global leader in the distribution of high-quality video content with the widest range of HD and UHD channels between satellite operators. SES transmits nearly a quarter of the available satellite HD channels globally and more than one-third of UHD commercial channels. At the end of 2018, SES satellites distributed 8,151 global TV channels, up 6 percent from 2017. The advance came mainly from the addition of new HD and UHD channels in the SES fleet of more than 50 satellites dedicated to video. The number of HD channels transmitted by SES satellites reached 2,777 at the end of 2018 (plus 7 percent versus 2017), while the number of UHD channels available on SES satellites was 41, up 46 percent over the previous year. 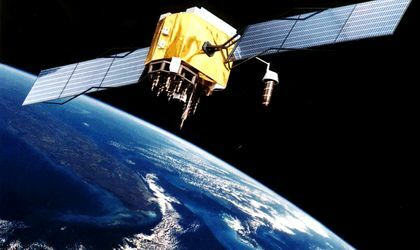 SES is the leader of global satellite operators with a fleet of over 70 satellites, disposed on two different orbits: Geostationary orbit (GEO) or Medium Orbit (MEO). SES provides a broad spectrum of customers with global video distribution and data connection services through two business divisions: SES Video and SES Networks. SES Video services reach over 355 million homes worldwide, via DTH or cable, digital terrestrial or IPTV networks. The SES Video portfolio includes MX1, the world’s leading provider of innovative digital and digital distribution services, and the ASTRA satellite system, which has the most DTH coverage in Europe. SES Networks provides global managed data services, providing connectivity to diverse sectors such as telecommunications, shipping, aeronautics and energy, as well as to governments and institutions all over the world. The SES Networks portfolio includes GovSat, a public-private partnership in equal proportions between the SES and the Luxembourg government, and O3b, the only non-geostationary system that provides broadband services similar to those on fiber optics.